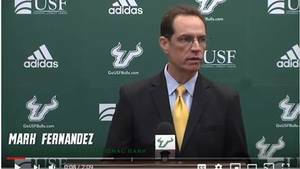 TAMPA, Fla. , Sep. 21 /CSRwire/ - Valley National Bank has announced a partnership with the University of South Florida’s football program, which will contribute scholarship funds to first-generation USF students who are also U.S. military veterans. Valley, the season-presenting sponsor of USF football, wanted to give back to the university in a meaningful way beyond Valley logos and signage at Raymond James Stadium. As a result, Valley developed the “Valley for Veterans” program, which will give a total of $25,000 in scholarship funds this football season to first-generation USF students who are veterans. The program is the first community impact initiative of its kind for the bank. Valley’s $25,000 gift will be matched two-to-one by the state of Florida and the USF Foundation’s First-Generation Matching Grant program, bringing the total scholarship amount to $75,000. Valley’s community impact strategy focuses on three key areas – arts and culture, youth education and development, and entrepreneurship and innovation. In the area of education, the “Valley for Veterans” program builds on the bank’s already-strong support for scholarships that help USF students succeed. In 2017, Valley also made a five-year commitment to fund scholarships for the FUSE program, which provides students a dedicated advisor and graduation path to a bachelor’s degree at USF while earning their associate degrees at one of eight Florida College System partners. Once FUSE program students successfully complete their associate degrees, they receive guaranteed admission to USF in their chosen fields. Valley National Bancorp is a regional bank holding company headquartered in Wayne, New Jersey with over $30 billion in assets. Its principal subsidiary, Valley National Bank, currently operates over 230 branch locations in northern and central New Jersey, the New York City boroughs of Manhattan, Brooklyn, Queens and Long Island, Florida and Alabama. Valley National Bank, which merged with USAmeriBank earlier this year, is one of the largest commercial banks headquartered in New Jersey and is committed to providing the most convenient service, the latest in product innovations and an experienced and knowledgeable staff with a high priority on friendly customer service. For more information about Valley and its products and services, please visit www.valley.com or call our Customer Service Center at 800-522-4100. Valley National Bank is a regional financial institution with approximately $30 billion in assets and more than 230 branches located throughout New Jersey, Manhattan, Brooklyn, Queens, Long Island, Florida and Alabama.